Social media allows anyone with an internet connection to publish their own content and connect with others. Through it, people and organisations receive a wealth of information and interaction. According to the Sensis Social Media Report in 2015, there is an exponential growth in the levels of engagement between businesses and consumers. Almost 50% of consumers now access social media every day. 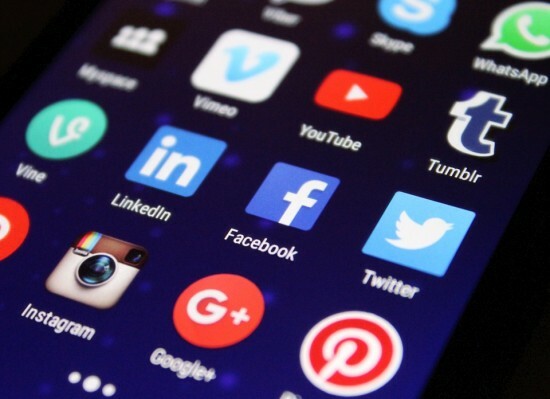 Although social media is proven to be a great way to distribute information and create engagement around your business, social media can present some barriers for people with disabilities. We have come up with some simple ways that you can improve your social media through accessibility. For people who are blind or vision impaired, adding a caption label to a photo will enable screen readers to read out information about the photo. A good caption for screen reader users is one that describes the meaning conveyed in the image. For example, ‘TV’ is not as meaningful as ‘two children sitting watching TV and laughing’. By including this information, you provide the user with context and screen reader users don’t miss out on information that can be important to the message. This can be applied across many different social media platforms including Pinterest, Facebook, Google+ and Instagram. Video captions benefit everyone who watched videos. Studies have shown that captioning a video improves comprehension, memory and attention to a video. To ensure that the videos that you share are accessible to people who are Deaf or hearing impaired, it is imperative that all videos feature captions. In 2014, Facebook introduced the ability to add captions to videos. Instructions on how to do this can be found in the ‘How do I add captions to my video?’ article on the Facebook Help website. YouTube and Vimeo are social media platforms that support captions and other various accessibility features. To ensure that your videos are accessible to people who are Deaf or hearing impaired, it is imperative that all videos feature captions. YouTube has a built-in automatic captions tool which uses voice recognition software. As such, the captions produced by this software are often inaccurate so it is important to use an editing feature to correct any incorrect captions on your YouTube video. YouTube provides the ability to change the colour and font and size of your caption text. This is a useful feature for people with vision impairment such as colour blindness. Hashtags enable people with disabilities and other service providers to specifically identify your tweets as being related to a particular area of interest. It is always a best practice to use ‘CamelCase’ and capitalise the first letters of compound words for multiple words for hashtags. If your phone has a text-to-speech application (e.g. VoiceOver for iPhone), it may be a good idea to read out loud a social media post before you distribute it, so you know how your message would be conveyed to a person who needs to use a text-to-speech application to use social media. Developers, designers and content authors can benefit from having dedicated accessibility experts provide knowledge and support to assist with social media management. We can help you understand these tools and provide knowledge, consultancy and expert advice to maximise their use, leading to education for your team and the most accessible results for people who engage with your digital content. Overall, although social media platforms haven’t got the best reputation for accessibility, we hope that with a couple of our easy hints and tips your business’s social media engagement and communications will be improved through accessibility. Media Access Australia offers a range of training, services and consulting to help you reach comprehensive digital accessibility compliance. Call us on +61 02 9212 6242 or request a quote to find out where you stand with a Digital Accessibility Maturity Assessment (DAMA).